Are you planning a business trip? It’s safe to say there’s already so much that goes on with planning a business trip. From housing accommodations to local transportation to planning meetings, business trips are busy. The last thing any business traveler wants is unpleasant hold ups or incidences at TSA prior to your departure. Whether you are bringing carry-on items or checking bags, learn how to pack for a business trip like a pro. If you wish to bring liquids onto any carry-on that you are bringing directly to the flight, then it must be sealed and less than three ounces. The same goes for any water bottles or drinks purchased prior to departure. Pour the desired liquids you would like to take into containers less than three ounces. Although this may seem obvious when packing for a business trip, make sure to have all your necessary and important documents accessible and ready to present. Remember, once you have passed through airport security, secure your ID safely. You can also check if the airline you are flying with has a mobile application with a responsive boarding pass feature. Download your airline’s app, and you can have your digital boarding pass at the tips of your fingers. 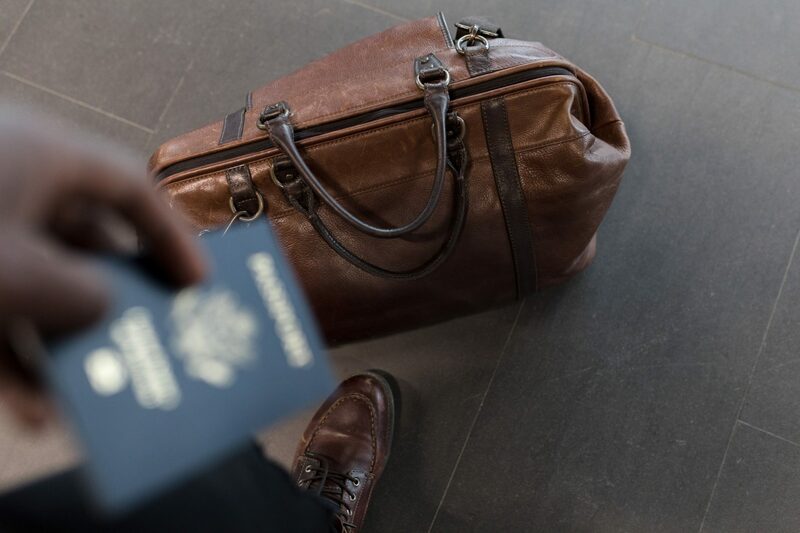 Tip: If your business trip is domestic, we suggest you only bring your state-issued ID and not a passport, as you will have one less important document to carry and take care of. Keep your valuable and important items close to you. The chances of your luggage getting lost or stolen are very minimal, but we still recommend keeping your electronic valuables and other things within reach of you at all times. Once you have settled in your furnished apartment for your stay of any duration in the Atlanta area, you can unpack and secure your things in one of the full-sized spacious furnished corporate apartments that are waiting for you. Planning a Business Trip to Atlanta? Rent Corporate Housing in Atlanta! If you are planning a business trip to Atlanta, consider renting corporate housing from Furnished Apartments Atlanta. There are many benefits to staying in corporate housing, including apartments offer 61% more square feet than a hotel room. The average corporate stay is 83 days. In addition, we have accommodations for large groups, short term or long term employee training, business or temporary relocation, and more. Learn more about our corporate housing in Atlanta. If you’re planning a business trip to Atlanta and are interested in renting corporate housing in Atlanta, call us today at 770-396-5596 or contact us online here. Why Choose Atlanta Corporate Housing Over A Hotel? Need short term furnished apartments in Atlanta? We have got you covered.